Store Electronic Medical Records. With Ease. Keep all your electronic medical records in one place. Work in real time, backup and manage your medical practice. 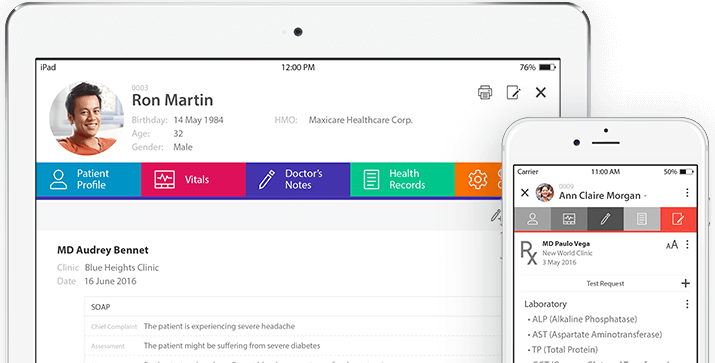 SeriousMD Doctors: the most powerful way to store digital medical records and work with your staff at the same time. Access your patients' records - medical history, previous consultation notes and past health records - anytime and from anywhere. Want to import your records from other software? We can help you with that. SeriousMD Doctors works with your setup, no matter what it is. Use multiple devices at the same time with our proprietary syncing technology. Never worry about losing data ever again. Keep your files safe, no matter what happens. Your data is kept secure with the latest encryption protocols and backed up 24/7 on our secure cloud servers. You can manage your whole practice in one app. Serve more clients, get more business and improve doctor-patient relationships. SeriousMD Doctors is HIPAA-compliant and fully committed to your security. Your Schedule, at a Glance. View your appointments at a glance. Manage your schedule and be up to date. Say goodbye to missed appointments. Manage your business efficiently. Be in the know of what's coming in each and every day. This is medical billing, taken to the next level. SeriousMD has helped me a lot in my practice. I use it for my 2 clinics and store patients' SOAP and lab tests on line and retrieve them easily at any time from anywhere including the operating room. It's the EMR I've been looking for. While SeriousMD Doctors app works offline, it is best used connected to the internet. Being online allows your data to be safely and continuously backed up to the cloud in real time.